We are planning a trip back to Amalfi and our new apartment. 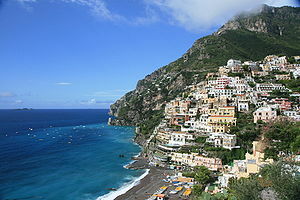 We will rent a car in Rome at the airport and drive to Positano. Here we will shop for ceramic dishes for the new apartment. We will spend a night once again in this romantic place. Then in the morning drive the Amalfi Coast road to Salerno to visit an IKEA (yes there are IKEA’s in Italy). From here we drive south along the beautiful Mediterranean to Velina (where our apartment is). We plan on setting up the new place and getting to know the beach and mountain towns nearby. More on this later.